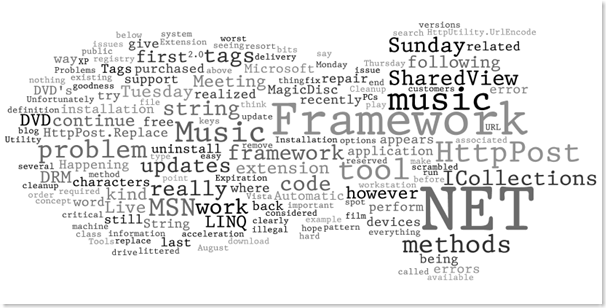 Wordle is a toy for generating “word clouds” from text that you provide. This is a wordle of my recent posts. It is just one of those useless toys that you have to try once.